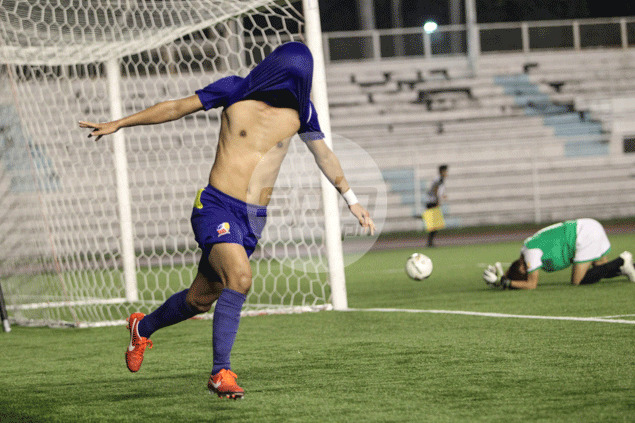 The two-time United Football League champions reminded everyone by blanking Pasargad FC, 7-0, to jumpstart its UFL Cup campaign on Saturday night at the Rizal Memorial Stadium. Global marked its return after getting suspended in the middle of the Cup last season with a dominant showing from start to finish. Omid Nazari made a rousing debut, firing a hat-trick to lead the onslaught that saw Hikaru Minegishi score brace and Izzo El-Habib and Dennis Villanueva add a goal each. Global wasted little to announce its return as El-Habbib opened the scoring three minutes into the match, before Minegishi scored his two goals and Nazari added one to give the squad a four-goal lead heading into intermission. Global sustained the pace in the second half where the perennial title contender controlled possession as Pasargad hardly reach its own half. In another Group B match earlier, Forza pounced on late own goal by Agila to hack out a 1-0 win.